Our company is dealing with food products sale of leading licensed producers from Bulgaria and abroud. The company is established in 1989 in Dimitrovgrad, Bulgaria. Weekend Ltd is one of the best known and well established names in the sphere of food products sale and deliveries in South Bulgaria. Our hygine and safety regulations met all regulations presented by the Food Law and Health Ministry in Bulgaria. In order to control the dates and the quality of all food products we are working with, we have special scanning software installed. 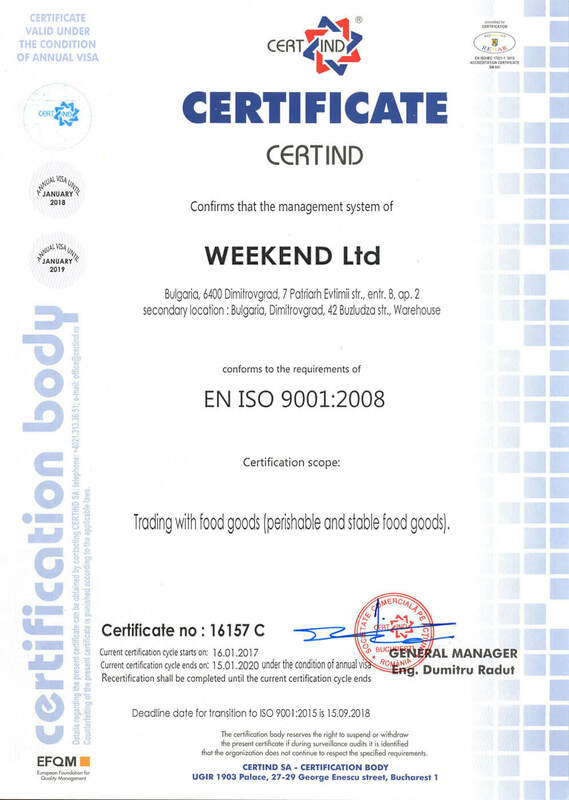 "Organization of the standardization activities" ISO 9001:2008. 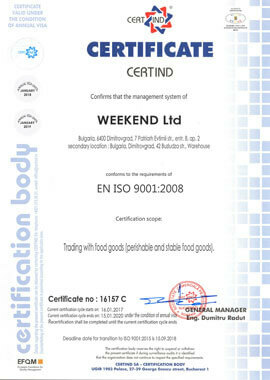 We have highly qualified specialists, who control the quality of all food products on daily basis. We have successful partnership with municipal administrations, social, health and educational institutions. 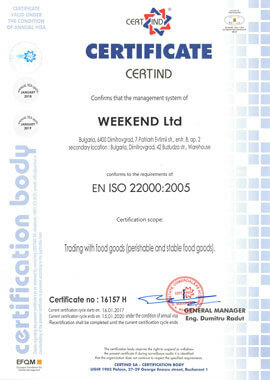 We offer huge variety of food products with exelent quality to our clients.